Dharmender better known as Dharmender Bhaiya, is someone I have grown to admire by the day. His story is one that needs to be told as it epitomises the spirit of Project Why. Over the years I have realised that we share a common vision and dream for the children and ladies we reach out. Dharmendra came to Project Why way back in 2004 as a humanities teacher for the secondary classes. He left a well paid job in a multinational to follow his calling. His stint as a teacher was short lived as I soon realised that he passionately wanted to change things and was willing to walk the road less travelled. We use to spend a lot of time sharing our thoughts and in him I found a soul mate. He soon became involved in a wide range of activities: solving problems with the community, dealing with the many detractors we had and lending his hand with every crises of problems we faced. I could see that he was born to lead. I had to find a way and it would happen earlier than expected in the most unlikely yet amazing way. Two ladies in distress landed our way. They were both abused and from dysfunctional homes and we had to find a way to care for them. This could only be done if we ‘created’ a residential facility and it was Dharmendra who took on the challenge. The rest is history. A place was found for them and this became the springing board for what is known as the Project Why women centre. It was Dhamendra’s idea to juxtapose a children centre to our residential outreach and to also begin a vocational centre to empower women from underprivileged homes. In the span of a year, he had the women centre up and running. It had been an uphill task with our two ladies being demanding and difficult. Dharmendra would not shun from driving in the middle of cold winter nights to go and solve fights and arguments. The residential programme came to a close once the ladies were healed and ready to move on and we felt that a residential outreach did not make financial sense unless we had a larger number of women something we did not want to do. In its place emerged the women centre, an outreach for 300 children and 120 women. Dharmendra always has his heart open and he was the one to spot Meher when she was rummaging in a dustbin looking for food. 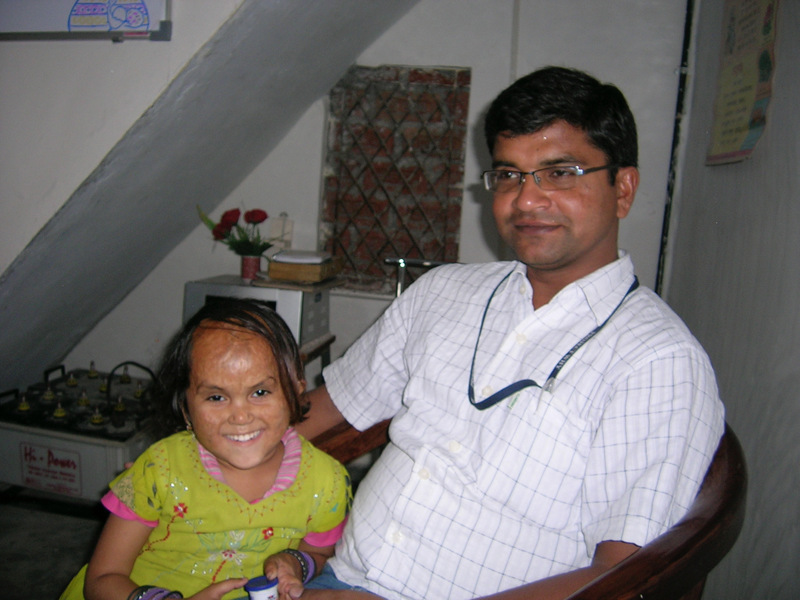 He took on the challenge of giving her a better morrow and patiently accompanied her in her healing journey through several reconstructive surgeries. Meher never looked back. Today she is in boarding school, an impish creature you simply fall in love with. Dharmendra runs the centre with a velvet gloved iron hand. His gentle demeanour can be extremely firm; He does not tolerate nonsense. His never say die attitude ensures that every problem that comes our way is dealt with in the best manner possible. He has earned the respect of the community he works with and ensured that they stand with us at all times. The women centre is one of the jewels of Project Why. 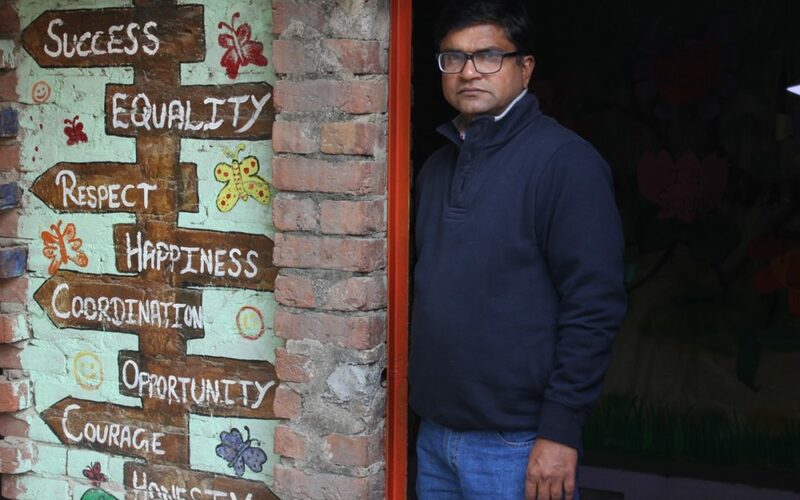 Dharmendra is also the one who found out the plight of the children of agricultural labour who live along the Yamuna river and conjured a way to start a centre for them. The Yamuna centre is definitely one of our most vibrant centres. Dharmendra has always taken ownership of what he set up and is open to ideas and ready to implement them. He also comes up with his own ideas that often adds value to the work we are doing. I often find myself seeking his advise and am impressed by his innovative ideas. I have learnt a lot from him and am deeply grateful for this. It is a privilege and honour to have in my team. He never ceases to amaze me and his latest feat was to get a community workshop organised by IGNOU (Open University) where people were told about the possibilities of learning from home at all ages. Actually this was a double whammy as it solved our problem of getting our Yamuna Centre class X kids to appear in their Board examinations. We were truly worried as these children did not attend school or have any civic papers. With one master stroke Dharmendra ensured that they would be admitted in an open program and able to sit for their exams. It is a privilege and a blessing to have someone like Dharmendra in my team. Have you also come across someone you have grown to admire? You can also support Project Why through a small donation.